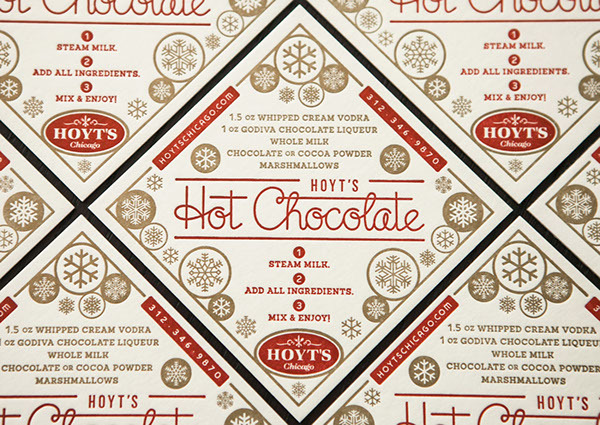 Hoyt's is an upscale "modern American tavern" tucked on the ground floor of the Element 71 hotel, smack in the heart of downtown Chicago. 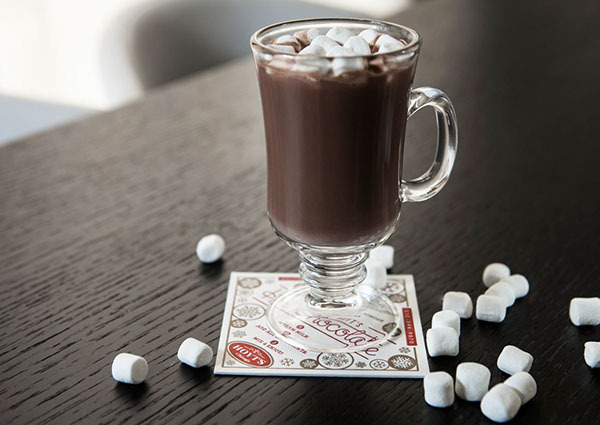 With unbeatable city views, this spot is no stranger to hosting several a wary traveler or after-work happy hour, and serving up great drinks to do so. 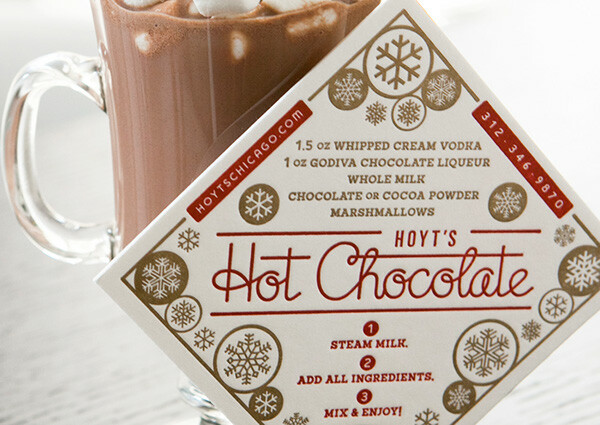 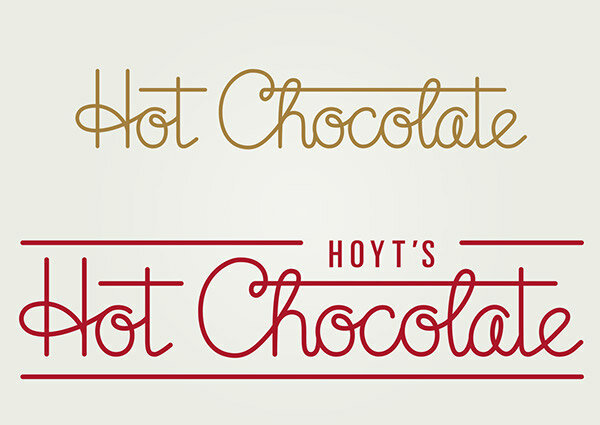 For added warmth in the winter months, Hoyt's concocted an adult hot chocolate to lure folks in from the cold. 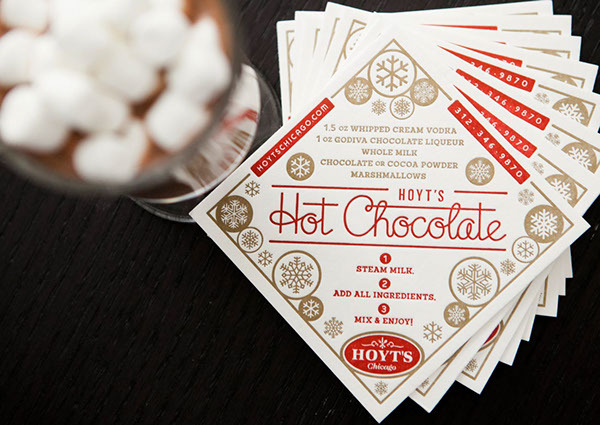 These gold & red letterpressed coasters were designed with hand-drawn type and an appropriate flare to accompany the hot beverage.